EMMA was founded to create a level playing field for sound quality competitions in Europe and to unify the different rulebooks that are used all over the continent. Car Audio Competition has its roots in the United States, where the IASCA was the first organisation that designed a competition manual for SQ Events. EMMA International is the leading organisation for the EMMA national car audio associations all over the World and is responsible for the yearly organised international head judge training, the standardised rulebook and the competition CD´S. Its website gives access to important information about the sound quality competitions. 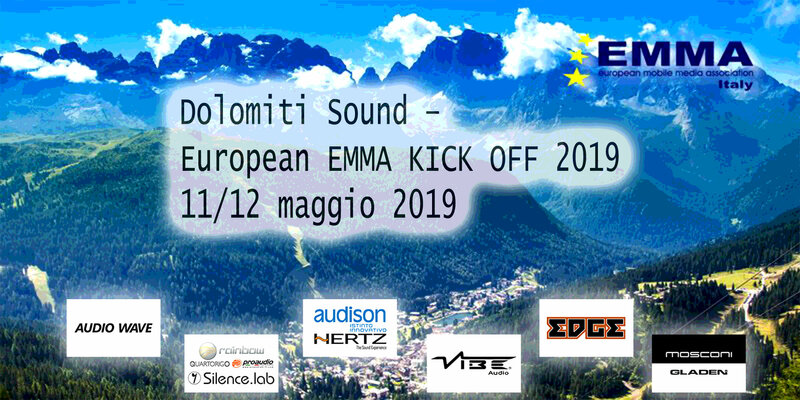 The European Sound Pressure League (ESPL) and EMMA Racing are also part of the EMMA competition series. In this actual version of the EMMA rulebook, all our experiences gathered over the last years from all National Organisations and the Euro Finals have been used to create a rulebook that is fairer, easier for the competitor to understand and follow these rules. 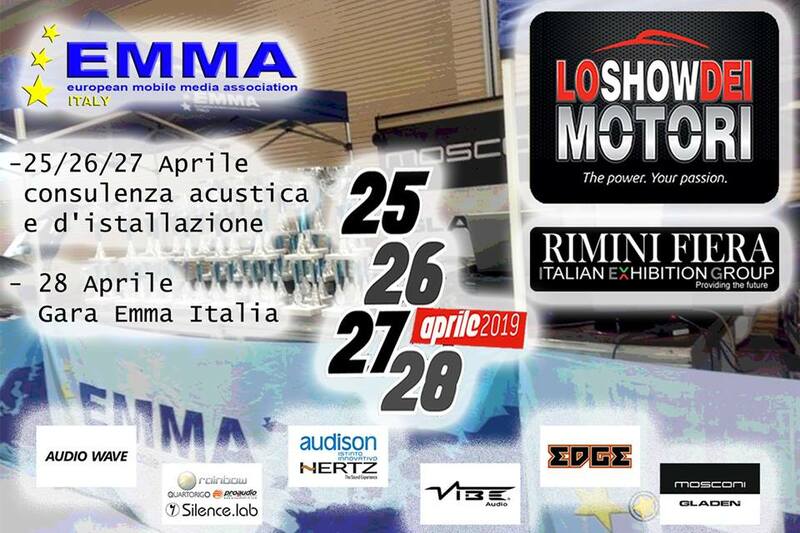 It is also EMMA´s sincerest hope that these rules will be reviewed upon as an example of the organisations continuing efforts to promote the auto sound industry. A new category, EMMA Entry, was created to allow interested people to participate in EMMA competitions without knowledge of the rules. In return they will receive a qualified feedback of the status of their mobile media system, with advice, tips and hints how to improve the quality to reach a higher level and be part of EMMA. With EMMA Racing, a platform is created for tuned cars with mobile media systems to compete on a national and international level with common rules, to find the European Champion not only in sound but also on overall car performance. The mission of the European Mobile Media Association is to provide guidelines for an independent group of national car audio organisations all over the world. It sets rules and regulations by which the Sound Quality, ESPL and EMMA Racing competitions are held. EMMA’s goal is to encourage fair competitions on an equal level throughout all membership countries, and to promote the growth of these events. The intention is to have an international Car Audio and Multi Media Championship every year. Furthermore EMMA encourages both competitors and installers to extend their knowledge about the equipment they are using. This will then result in a better quality standard for the installations and ensures the equipment will perform to its optimum. Ultimately this will result in a satisfied competitor and/or customer. For sound quality, the challenge is to build an audio or multimedia system that will overcome the problems of vehicle acoustics, reproducing music without noise, distortion and to make the music sound like the “original” – also the installation quality will be evaluated. For ESPL, the challenge is to reproduce high sound Pressure levels in nice designed cars with quality installations. For EMMA Racing, the car is looked at as an entire project. Sound quality and high sound Pressure levels but also tuning, looks, and racing capabilities are challenged during an EMMA Racing Event. EMMA was established to satisfy the need of competitors to find out “Who is on top in Europe and the world”. Today’s high performance car audio equipment is capable of delivering sound reproduction so accurately and loud, that it does not sound like reproduction at all. EMMA is concerned that some people may forget that the most important instruments in this listening experience, their ears, have limits. The last thing we want to see is for enthusiasts abusing their ears by listening at extreme volume levels that could render them incapable of hearing the music they love so much! Good Luck!! In any EMMA-sanctioned event, EMMA will not be held responsible, directly or indirectly, for any damage to or loss of competition cars, equipment and other goods. Furthermore EMMA urges the competitors and the public in general to protect their hearing.